A large and growing population, well-educated middle class, increasing rate of urbanisation and good economic prospects for the country as a whole combine to create a very positive outlook for Nigeria's retail, residential and commercial development sectors. 23% of the Nigerian population is middle class with spending power and aspirations to match. 65 million people are aged 14 and below, representing 40% of its population. 2020 By 2020 Nigeria will have a large, strong, diversified, sustainable and competitive economy. 48% of the population already has internet access. Nigeria’s population of approximately 160 million people is the largest in Africa. It is anticipated to surpass the USA and become the third largest in the world by 2020. The population grew by 33% in the last decade alone. 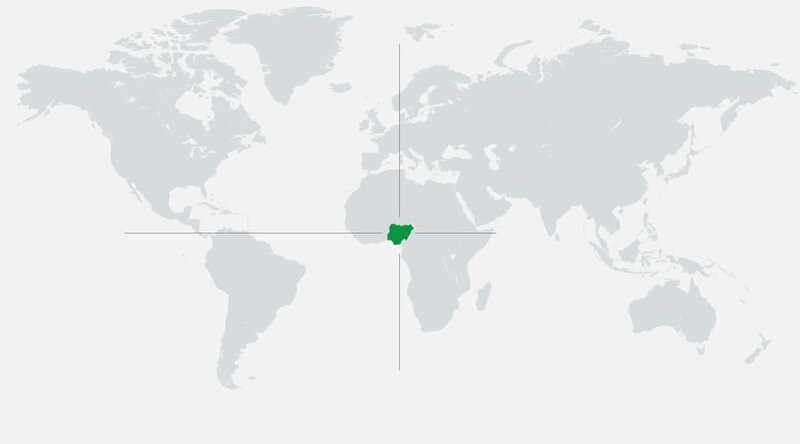 Nigeria contributes approximately 20% of the African continent’s GDP. It has thriving telecoms, banking, oil and gas sectors and provides a reliable access point to sub-Saharan Africa. Nigeria’s growing middle class accounts for approximately 23% of the population and is estimated to have a combined buying power in excess of US$28 billion. Middle class Nigerians have traditionally shopped abroad, primarily in London and Dubai, for the international brands they can’t get locally. 50% of the Nigerian population is under 20 and many within the age group have a good standard of education. Nigerians are by nature adaptable and aspirational, having grown up exposed to international lifestyles via the internet and mobile technologies. Around 63% of the population subscribes to mobile telephony. Approximately 48% has internet access, which is primarily via mobile devices.